Introductory Note: In “The Gazette’s Great Water Article,” Gene Franks wrote: “The degradation of water in modern America has been cruel and complete. Water has meaning only to the extent that it is useful to us. We speak of animal rights and children’s rights, meaning the rights of animals and children, but “water rights” refers only to the right of humans to exploit water. Water itself has no rights, no existence apart from our purposes.” It is encouraging that at least two countries, New Zealand and Ecuador, have seen fit to officially recognize the legal rights of water.–Hardly Waite, Gazette Senior Editor. 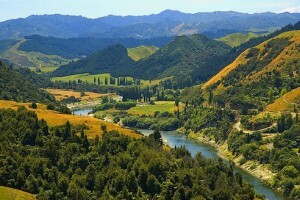 In a landmark case for the Rights of Nature, officials in New Zealand recently granted the Whanganui, the nation’s third-longest river, with legal personhood “in the same way a company is, which will give it rights and interests”. The decision follows a long court battle for the river’s personhood initiated by the Whanganui River iwi, an indigenous community with strong cultural ties to the waterway.